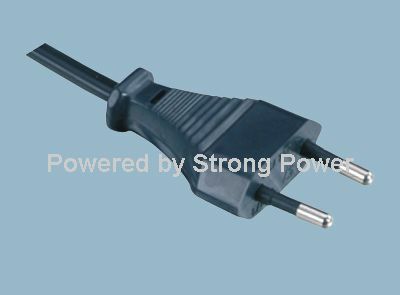 An AC power cord uses alternating electric current which has periodic reversal of directions. It follows strict specifications during manufacturing process, regulating size and shape of wire, and making certain the current and voltage ratings are balanced. In polarized electrical cords, there includes a special plug shape to ensure that the electricity flows smoothly along the wires for safety. Its plug end is designed to enter a socket in a one-way only. This guarantees the electrical poles are properly oriented. 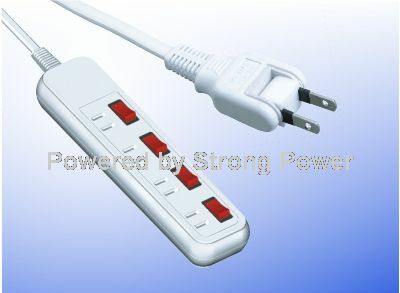 To make this possible, one plug prong is larger than the other plug. Appliances like blenders and toasters use polarized cords because they do not have internal safety switches. On the other hand, non-polarized cord plugs are the opposite. The prongs to their plug ends are similar in shape and size. Also, they are designed to plug into the sockets in either way. Such is possible because the neutral and live wires are connected in random. Non-polarized cords are connected to have a shut off and polarity-shifting features. They have heavier insulation surrounding the wires than do polarized cords. Primarily manufactured from thin copper wire enclosed in an insulating plastic and rubber, AC cords have prong contacts made of either brass or steel and plated with zinc, tin, or nickel. They are used for retail, electronic, commercial, industrial, and residential applications. They are commonly seen in computers, laptops, household appliances, power tools, and lighting. The first power cords were hardwired to Edison lamp holders. They were used both for household or industrial equipment or lighting. Harvey Hubbell was the inventors of two-prong electrical cord and plug. His designed was adopted into widespread use since. The three-prong grounded cords and polarized cords were invented later to incorporate greater safety in electrical equipment. They have plug ends of polarized and non-polarized. It features a third prong or a grounding rod to divert the stray voltage into the ground, away from users and the equipment from which the cord is connected. Thus, the grounded AC power cord is the highest-rated for safety. AC power cords are connected to plugs and sockets to connect an electrically-operated device to a power supply. To reduce the risk of injury or death by electric shock, there are plugs and socket systems that incorporate different safety features. The sockets are designed to accept matching plugs only and reject all others. Besides the AC power cord, power plugs and sockets also vary. In using a cord, it is best to read the safety tips included in the instruction manual that comes in every device or appliance bought.